This product is currently in production and is due to ship in 95 days. To place a back order, please complete the checkout process as normal. Browse through our online catalogue to see all the available products we are currently offering, with the variety including the latest trends, styles, & technologies as we stay current to keep ahead of the competition! With over 20 years experience in the business, Slimline Warehouse has become a leading provider of quality displays nationwide. Same day despatch to Sydney, Melbourne, Perth, Adelaide, Canberra, Brisbane, Gold Coast, & anywhere else in Australia is provider with most in stock products purchased by 1pm EST! 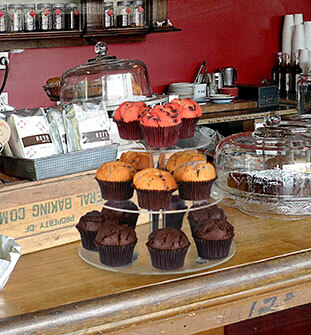 This cupcake stand allows your bakery, cafe, or bistro display a selection of baked goods for customers to choose from with ease. 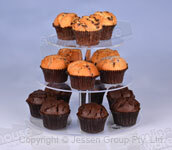 The cup cake towers are a 360° display, with items able to be placed around the entirety of the rounded shelf. 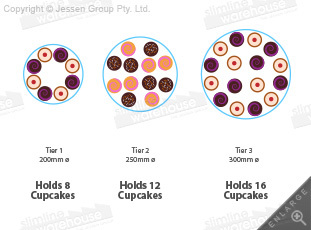 There are (3) tiers with the dessert display, with the lower levels having 100mm between shelves for placing your cupcakes, pastries, and muffins! 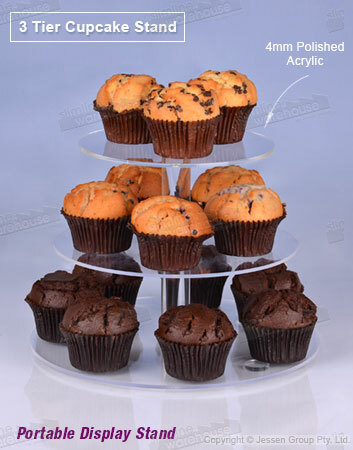 This cupcake stand is made from 4mm thick clear acrylic that offers a stylish look that works with every decor thanks to the rounded design. 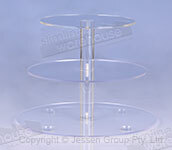 The tiered acrylic displays is easy to set-up as well, with no tools needed to assemble the entire tower using the self-screwing acrylic rods. Feet on the bottom help prevent the display from suctioning to a surface as well as level it out!